Dr. S. Arunuasundaram has been teaching Vyakarana at the Madras Sanskrit College for the past 27 years. He has also learned Sama Veda and well-versed in Vedashivagama. He is also a visiting professor of Shaivagama in the Vedagama Samskrita Mahapatashala, Sri Sri Gurukulam, Bangalore. He is a member of many committees of the University of Madras such as Acadamic Council and Board of Studies and other such committees of French Institute of Indology, Pondicherry and Shrimath Shrikantashivacharya Veda Shivagama Vidhya Peetam, Karaikal. He has published books both on Vyakarana as well as Shaivagama such as Vyakaranalaghulekha, Pavitravidhi - tamil translation, Kriyakramadyotika - tamil short notes, Vedangal Aruliyavaru, Shivagamachindanaigal - 3 volumes etc. 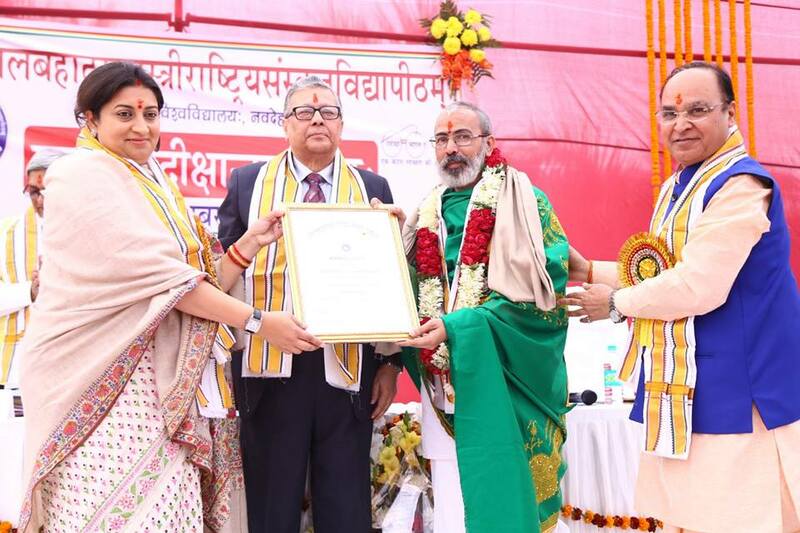 He has been awarded the following titles “Samskrita Seva Ratnam” by Koonampatti Aadheenam, “Shivagama Vidhya Ratnam” by Puducherry Shivagama Vidhya Samithi, “Shivagama Chelvar” by Thiruvavaduthurai Aadheenam and “Shivagama Vacaspati” by Shivagama Vidhya Kendram.